We loaded our car with supplies and a truck with our books (1000 Amharic Bibles, 300 English/Amharic diglot New Testaments, 350 Amharic Bible study books). After 12 hours and one flat tire, we arrived at dusk in the town of Soyama, a small town far to the south of Ethiopia. After a day of rest and orientation with the church leaders, we started our rural ministry. The first leg was to the highlands, little villages nestled at the top of the Burji Mountain Range. A heavy-duty truck took us as far as the road could accommodate, then we hiked the rest of the way. Our party included about 10-15 people, including several church leaders, a cook, translators, and several porters. To our amazement, the porters carried in foam mattresses and bottled water for us. 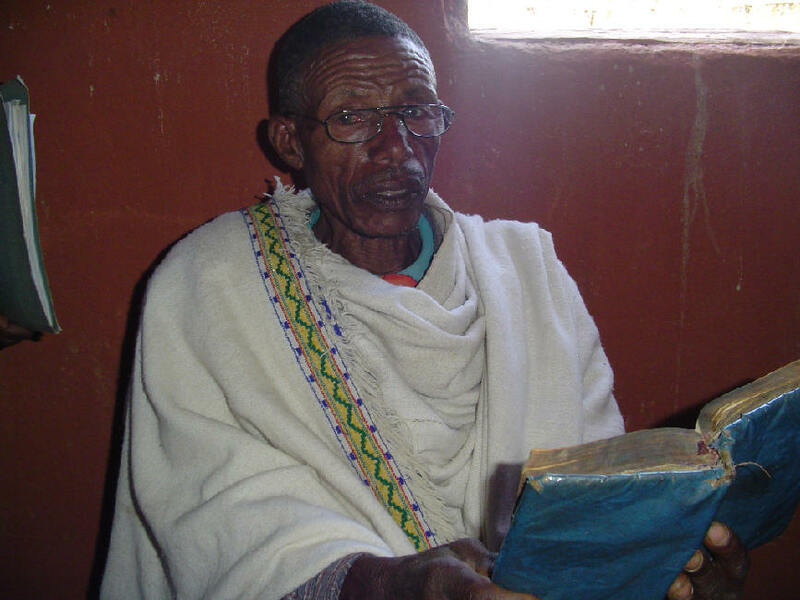 The last missionaries were thrown out by the Marxist government of Ethiopia about 1975, and no missionaries have been back to Burji since then. So our trip was of historic proportions to them. 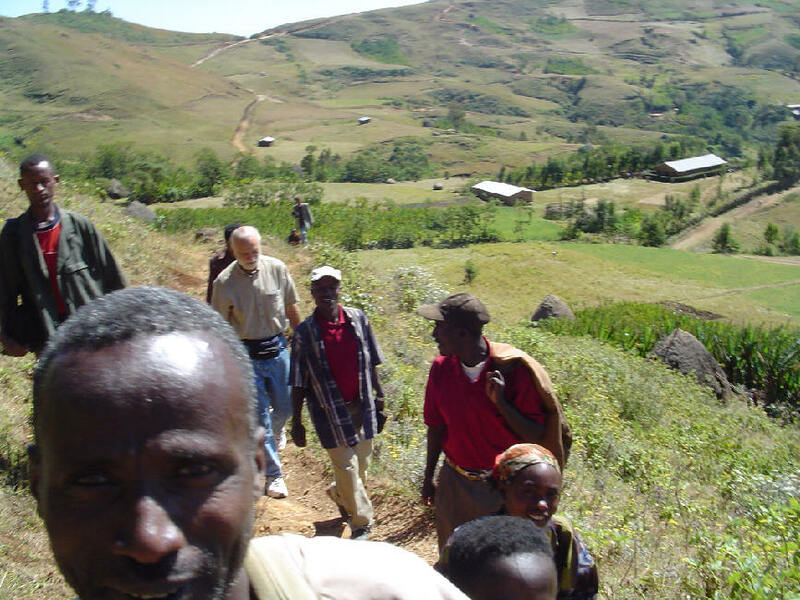 We spent 3 days hiking from village to village. At each church, the people greeted us with singing, dancing, flowers, decorated doorways, and traditional Ethiopian coffee. When we spent the night, they rigged up a privacy curtain in the corner of the church hall; everyone else slept out in the open with only leaves as their mattress, but we were in a “palace” with foam mattresses, sheets, and pillow, all hauled up on the backs or heads of carriers. In our entire trip, only 4 nights did we feel bedbugs and only one night did I feel rats on me, and we received almost no bites. And (can you believe it?) each church actually built a new out-house for us, all clean with a privacy curtain draped in the doorway, and the walls lined with giant leaves. We were truly treated like royalty. We quickly established a pattern for our visits. Each visit included testing for eyeglasses, a flannelgraph lesson or two, recitations of memory verses by the children, drawing of portraits for those reciting, and formal presentations of the Bibles to the children who had successfully memorized all nine passages Scripture. The nine passages included Psalms 1 and 23, John 3:1-21 and 14:1-14, 1 Corinthians 13, Philippians 4:4-8, Ephesians 6:1-4, and 2 sections of James 1. The verses were memorized well, and the entire congregation was absolutely silent during the recitations. If a child paused during a recitation for even a split second, other children quickly supplied the missing word. It was very gratifying to us to see how diligently the leaders and children had worked in this program. 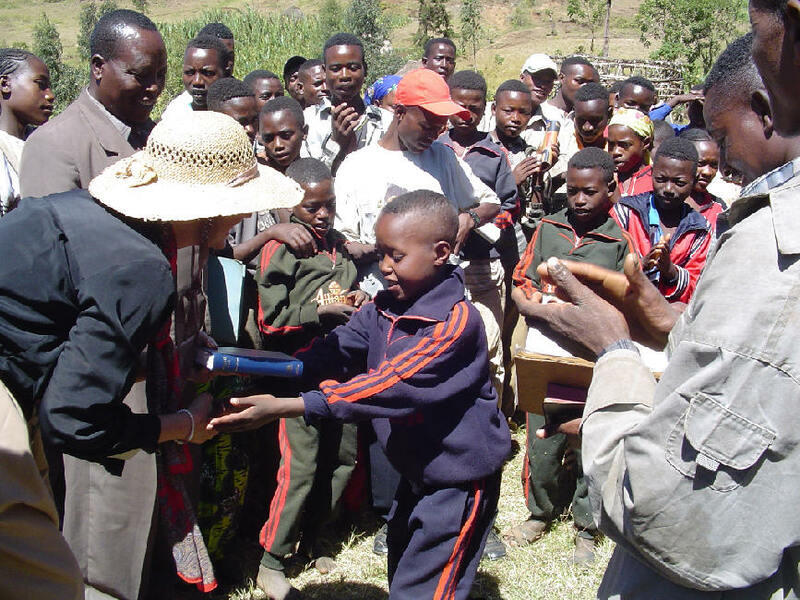 We brought 800 Bibles for the Burji District, and almost all of them were hand-delivered by us to the children. I wish you could have been there to witness the esteem and awe they showed over their Bibles – such joy and respect they evidenced! 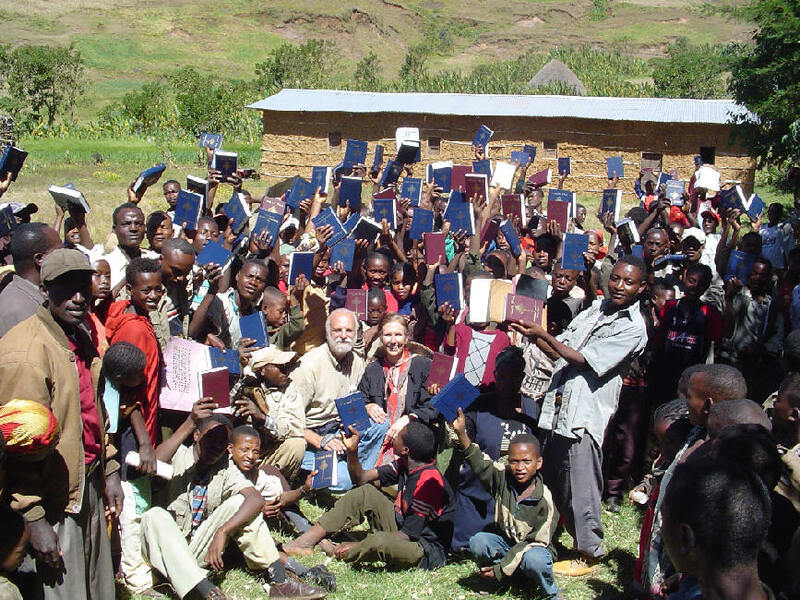 Many adults still do not have Bibles, so we told them that if they also learned these same passages, we would give them a Bible. We’re told that now about 3,000 people are memorizing. Psalm 119: How precious is His Word! 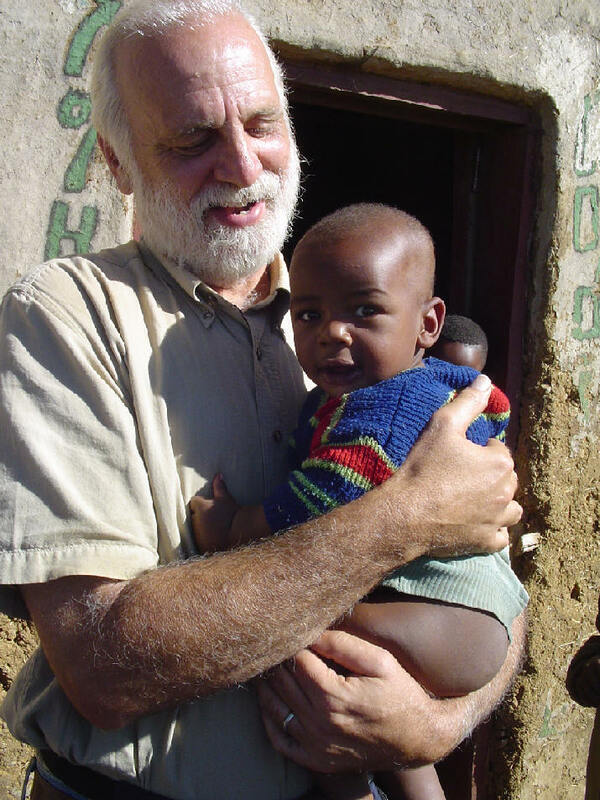 The Shule village was the first church-school that my daddy established in the Burji District; it was a delight to work with Elias, the evangelist who as a child from Shule helped daddy in beginning this school. We also hiked to the first rural church in the highlands, established 50 years ago among pagan spirit-worshippers. Although the church is established, most people in this area still seek witch-doctors for their problems. After a quick return to Soyama for refurbishing of supplies, we took successive trips in other directions to visit villages in entrenched Muslim areas. Islam entered the Burji tribe about 40 years ago. Some Burji people were moving to Kenya to help with the construction of roads in that country. Kenya is largely Muslim, and the Muslims refused to bury any non-Muslim Burji people who died while working in Kenya. So large groups of the Burji tribe in Ethiopia converted to Islam in order that their kinfolk would have a burial if they died in Kenya. The road-construction projects have ceased, but Islam is now deeply entrenched. Not only is it entrenched, it is aggressively resistant to the Christian witness (more about that in our next report). 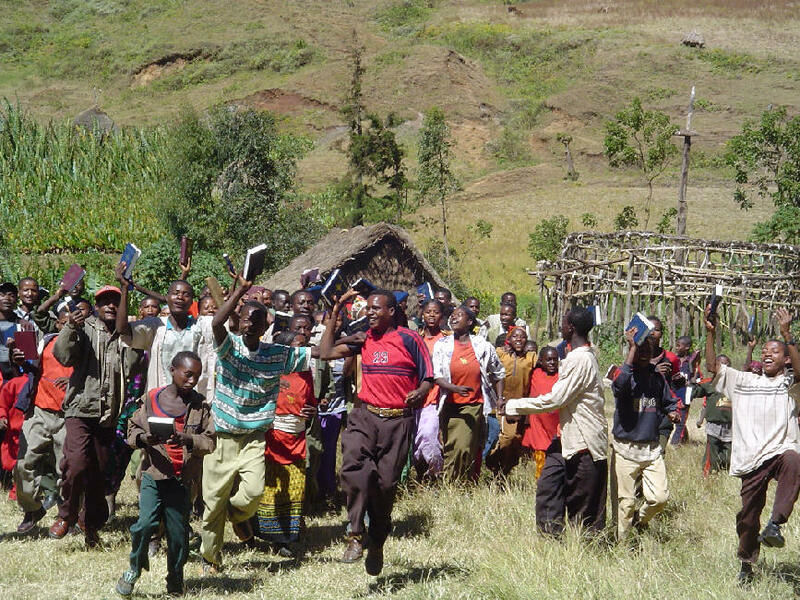 In many of the villages we were able to show the Jesus Film. This was excellent experience in trouble-shooting and training the Ethiopians. One of my big concerns was my limited ability in technological things; our Lord foresaw this need and provided Fasil. “Fasiliye,” as I affectionately call him, is one of our Ethiopian sons, and he can do anything! What a blessing he was to me as he just took over all the challenges of running high-tech stuff in the midst of the African wilderness. 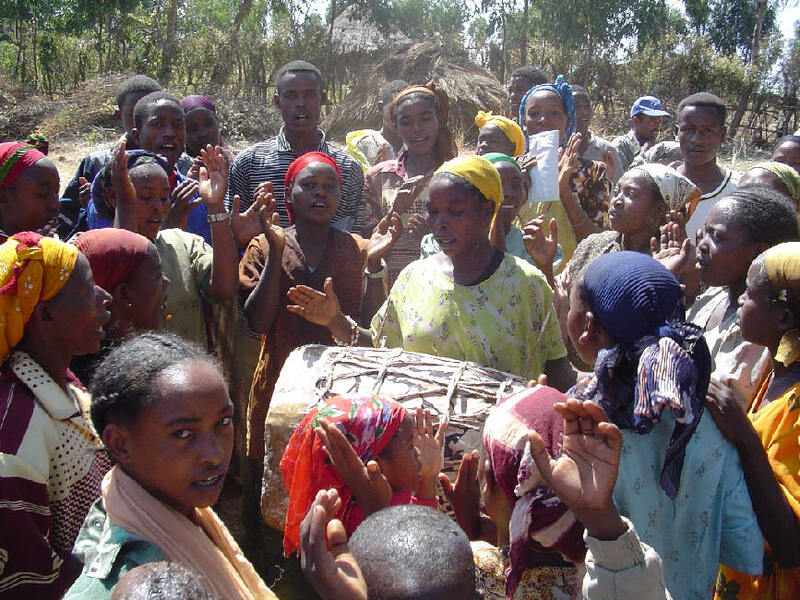 At the village of Sego, we just could not get the film going (due to their generator cord), so a spontaneous worship service began, with Dave leading a children’s choir, making up music in their tribal tongue as they went along. Dave was learning tribal phrases, but he had to re-learn the phrases every few days. The language kept changing as we moved around! We visited about 4 villages in the Burji valley, a very hot, dusty, “forsaken” stretch of land that is Muslim-dominated. The clinic in this region (which is the only medical service in the region) is serviced by one lone nurse. A medical team of 20 Americans is hoping to come in mid-February for two weeks to help out. Eye infections and malaria are the big diseases here, coupled with massive malnutrition and starvation. A Muslim leader came to the church, having heard that we had eyeglasses. I tested him and gave him a pair, saying to him, “These glasses are given to you because of the love of Jesus. He knows you and He loves you. And every time you wear these glasses you will be reminded of His care for you.” Upon leaving, I’m told that someone overheard him remark, “I’ve never seen such love as in this place.” I don’t know what his name is, but if he comes to mind, please pray for his salvation. Those of you who have sent eyeglasses can know that your work was not in vain. I had listed 9 specific prayer requests during this phase, each of which was answered perfectly. I have no words to describe the amazement that registered on the faces of these villagers as I told them that literally thousands of their brothers and sisters in America were praying for them. There is such comfort in prayer. We were told that our coming gave encouragement of monumental proportions. “It is amazing to us that you have joined in our life so eagerly. You’ve gone places even our own children don’t want to go! You have been eating and sleeping with us without hesitation. It is clear that you love us.” One lady told me, “When I’ve seen forengees (white-faced foreigners) before, I couldn’t touch them. But here you are, hugging me!” Only Christ and His love can bridge the huge gap in comfort and culture, and He did it in us largely because of your prayers. May He reward you according to your faithfulness, and bless you for your kindness to us in this regard.